We offer a wide range of hearth products; including wood, gas, electric and even outdoor fireplaces. Lakeside also offers quality hearth accessories; this includes gas logs, tool sets, log holders, fireplace grates, screens and much more. Gas fireplaces are designed to add style and efficient heating to any living space – both indoors and outdoors. 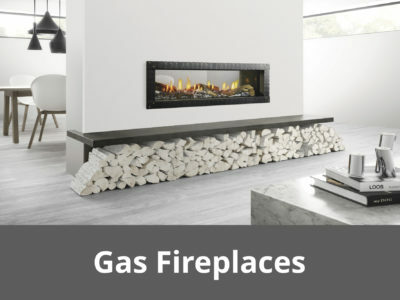 To look through our gas fireplace brands, please click here. For an authentic, live fire experience choose from our wide selection of wood fireplaces. Providing both classic and modern designs available for indoor and outdoor environments, wood burning fireplaces are equipped to provide warmth for many years to come. 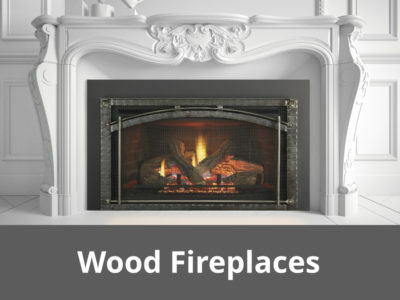 To look through our wood fireplace brands, please click here. A stove is freestanding and offers a traditional and charming ambience. 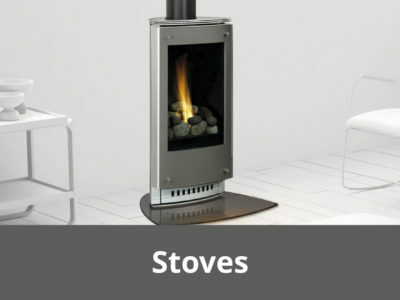 Stoves can be conventional and efficient wood burners, convenient gas, pellet or coal fueled. They are available in a variety of sizes and style and are easily added to most rooms. To look through our stove brands, please click here. Set any exterior space apart with an outdoor fireplace. Our wide selection will ensure that there is a style to fit any backyard design, providing inviting and pleasing aesthetics.To look through our outdoor fireplace brands, please click here. Electric wall-mounted and built-in fireplaces are durable, portable, and affordable. To look through our electric fireplace brands, please click here. Our staff of factory-trained professional service technicians have years of experience, offering you a wealth of fireplace, stove and insert knowledge. No issue or question is too big or too small. Please call or e-mail to schedule a service appointment for your fireplace needs. We are the premiere Hearth & Home Technologies distributor for the greater Lake Geneva area. Quadra-Fire, Heat & Glow and Heatilator selections can be seen first hand in our showroom. If you don’t find something that fits your needs or if you are looking for something in specific, please contact us. Hearth & Home Technologies offers an even wider selection that we can order from, that may not be on our site or showroom. To look through our selection of; Gas Fireplaces, Wood Fireplaces, Stoves, Outdoor Fireplaces and Electric Fireplaces, please click through our brands. If you have any questions or need help please don’t hesitate to contact us for help.